Over the Christmas/New Years holiday break I was able to spend some time on the road crossing Texas, New Mexico, and parts of Arizona. While I saw plenty of interesting sights it is not the goal of this blog to create a travel channel. The goal is to highlight technologies and subjects of interest in the HVAC arena. The subject that came to mind as I drove across these states was that of indoor air quality. Two areas, in particular, raised my attention to this topic. Phoenix, Arizona and El Paso, Texas were both covered with a thick layer of smog as I passed through those towns. The climatic reasons are not all that relevant to this discussion but the "temperature inversions" that are common in those areas at certain times of the year mean that smog will develop and stay trapped for hours, if not days. But those two cities are not alone. 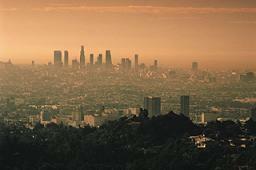 Los Angeles, California has been well known for poor air quality for years. New York City leaders have become concerned enough about outside air quality to include provisions in their new "Green Codes" that are intended to address the issue. Finally, attention has been brought by the folks at NOAA to the fact that pollution in China eventually makes it way to the US on the jet stream. HVAC products can either help mitigate this problem or simply move it from the outdoors to the indoors. All buildings with occupants are required by building codes to have some amount of "ventilation air". It has been common practice to introduce that ventilation air through conventional air handlers or packaged rooftop equipment. In the vast majority of cases that equipment was designed, and is applied, with only the minimum level of air filtration included. The primary goal of the filtration has been to protect the components of the equipment from dust fouling and to provide a nominal level of indoor air quality improvement. New requirements and guidelines that specify MERV 11 and higher filtration are intended to let the equipment begin to mitigate the outdoor air quality before it enters the space. But how effective is this? In a conventional HVAC system design there will be dozens of these filters, if not hundreds, scattered all over the building in numerous air handlers or packaged units. Maintaining all of these filters properly becomes an ongoing task. In addition, if even better filtration is required, or desired, the average piece of HVAC equipment simply lacks the space to provide more filtration. Dedicated Outdoor Air Systems, or "DOAS", equipment helps address this. By isolating all of the ventilation air requirements into a single point, maintenance of the filtration system becomes much easier. In addition, some "DOAS" equipment, such as the Applied Air FAP, is designed to allow multiple stages of filtration. When combined with low airflow systems such as chilled beams the result can be very clean ventilation air even in areas such as those I drove through over the holidays. As a final consideration for indoor air quality I would suggest that the old, ancient actually, technology of adiabatic or evaporative cooling might be considered. Although adiabatic or evaporative cooling can provide effective temperature control in vast parts of the United States it can also provide an extremely effective filtering system as well. Air is literally "washed" as it passes through the unit. As part of an overall system where the adiabatic or evaporative cooling system, such as the Alton or Aztec products, only provides the ventilation air and other equipment handles sensible and latent cooling the improvement in indoor air quality could be dramatic.